Our pupils are strongly impaired and somehow disordered in their use of speech and in their ability to communicate.Omissions, substitutions, and the articulation of wrong phonemes are typical characteristics.A small vocabulary and a restricted faculty of speech affect the communication. The word and sentence structure cannot be formed in a regular way.Orthography, reading and writing skills do not proceed according to their age.Occasionally oral fluency dysfunctions as well as the refusal of speech can arise.In many cases this is linked with a backwardness of development in perception, movement, work and learning habits. Due to the diagnosed special needs our pupils get individually adjusted support during classes, working in teams or by themselves.Correct articulation, oral fluency, regular oral and written reports, and a communicative competence are trained aim-orientated and practiced in changing learning situations with different media. Among other things we offer speech specific training materials, video- and audiotape recordings, special computer programmes, and text constructions for the school homepage. The schoolchildren also have the possibility to take part in special courses in the fields of theatre, art, music, and home economics.Our pupils are supposed to accept themselves with their speech disabilities and grow up to self-confident, sociable human beings. The purpose of our school is to repeal the special needs concerning speech and to send the pupils back to regular schools as well as acceptance and self-confidence of the remaining speech disorders.Teaching time:From 8.20 to 13.30 o’clock (workshops until 14.15 o’clock). Open all-day school for the classes 5 and 6, 13+ after school care starting with class 7. Transport by special transportation (taxis) or public local traffic.Catchment area:Düsseldorf, Krefeld, Mönchengladbach, Viersen, Neuss, Mettmann, Wuppertal, Solingen, Remscheid.School enrolment:About 190 pupilsAverage size of class:11-14 pupilsEntry in the classes level 5-10 when the special needs with the focus on speech have been diagnosed.Compulsory education / degrees:Including the primary school 11 years.Hauptschulabschluss after class 10, type A.In exceptions also for pupils with learning disabilities. 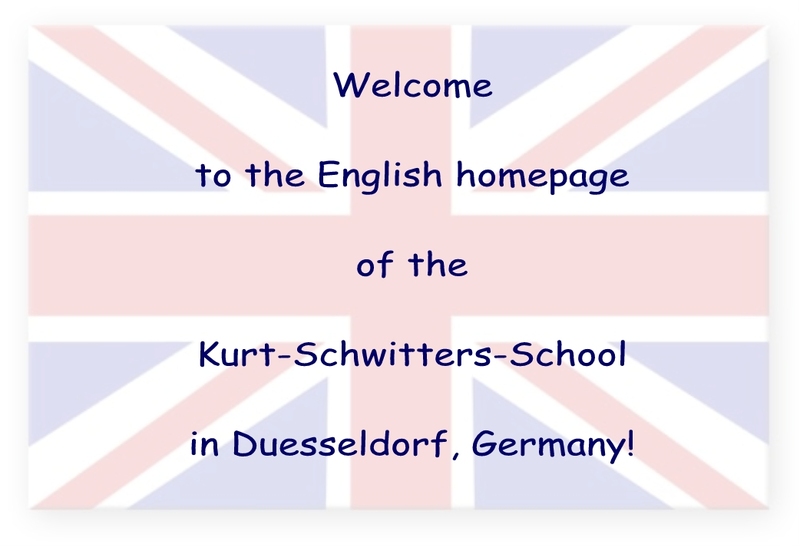 Im Rahmen eines Projektes in Englisch haben Schülerinnen und Schüler unserer Schule verschiedene Informationen auf Englisch dargestellt.